Affirming a District Court order granting the defendant’s motion to dismiss a charge of DWI, the Court finds no error in the District Court’s finding that the defendant was seized when the trooper activated his emergency lights immediately after the defendant pulled away from the side of the road. State v. Wento (Ct. App. Unpubl., 10/29/18). Police were in the defendant’s dorm room and told the defendant that he was not free to leave when they told him that they could freeze the scene while they sought a warrant to search the room. Then the officers searched the defendant’s room while they questioned him about his drug activity. 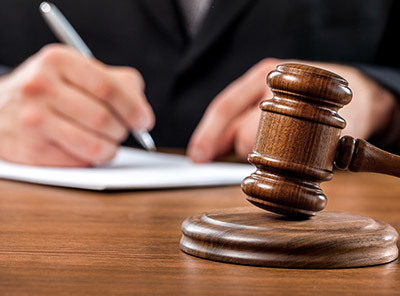 The Court affirms a District Court determination that the defendant was in custody and that the defendant’s statements that were taken without the benefit of a Miranda warning must be suppressed. State v. Nichols (Ct. App. Unpubl., 10/22/18). The Court affirms a denial of the defendant’s request for expungement of her ten criminal records where she was still on probation for DWI when she filed her petition, did not qualify for statutory expungement, had many felony convictions and was a prolific forger. State v. R.M.S. (Ct. App. Unpubl., 10/22/18).